Have been running for almost a year now, and have completely got the bug. With regards to interval training, what sort of intervals would you recommend, and would you dedicate a whole outing to intervals? I have just done a 6.5 Miler and added 10 x 20sec blasts towards the end of the run. Would this kind of training benefit my overall performance? Also I fancy doing some hill work. Would you dedicate a session to hills with reps, or just choose a hilly run and run at normal pace? Any advice on recovery times between intervals and hills would also be appreciated. Thanks for your questions about intervals and hill running. Interval running is definitely beneficial to your running. What you have been doing sounds more like strides though. Rest assured, they are good as well! Strides are short sprints. They are aimed to improve your coordination, leg turnover and running form. This will help you get faster over time. It is a good habit to do strides at the end of some of your easy runs. For more info check out this page about running strides. Interval running is running at anaerobic pace. It is faster than tempo running. Interval running makes you faster because it helps deliver the oxygen delivery to the muscles (if you want the full scientific explanation of how this works, then speak to a sports physiologist). Intervals are usually 400m, 800m or 1,500m in length. I prefer the longer distances. They are more painful to do (I think), but resemble the pains of longer races better. You do a number of repetitions per training session with short jogs in between. Intervals are definitely done as separate training sessions. You will need to keep in mind to do a proper warm-up (easy running for >5 minutes) and cool-down. Intervals are considered hard training sessions, meaning that the day before and the day after you should spend doing an easy run, some cross-training or do nothing at all. You will usually only do maximum one interval training session per week. Click here for more information about interval running. Incorporating hills in your runs is a good thing to do. It conditions the legs and it will definitely help to get you fit. You can do hill reps as well, which have the benefit of the repeated conditioning going upwards and the increased leg turnover going downwards (similar like strides). I myself do not usually do hill reps, but there are many top runners who do. One of the most famous running trainers Arthur Lydiard, who passed away a few years back, had his runners dedicate a whole training block of a number of weeks to hill training. The hills have to be run in a certain way (like jumps) to make the legs stronger (much like plyometric training). 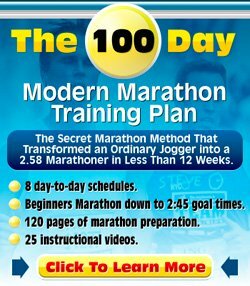 When starting to run at different speeds I can recommend to have a look at my running training section in more detail. It contains pages on the different running speeds and why you do them. And that is pretty important: every time you do a certain type of running training, you need to understand why you do that type of running training and how it fits into your bigger running program. Hope this helps. Enjoy your running.